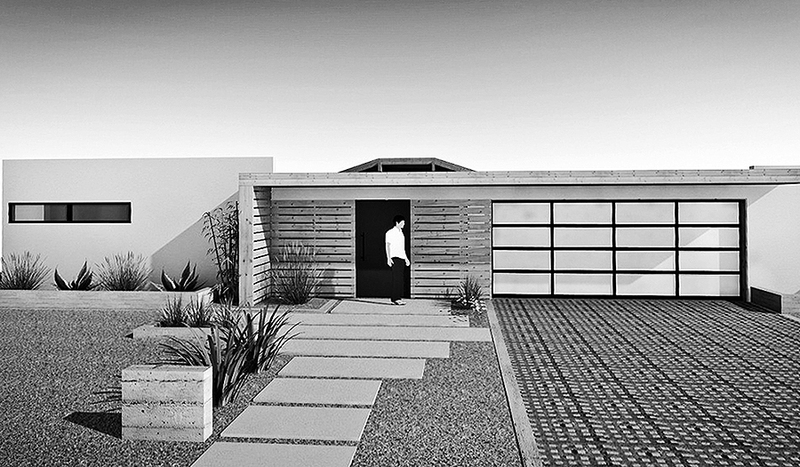 Before the design changes visible in the rendering above begin to take shape, though, the garage, originally built in the 1960's, had to be retrofitted to increase the ceiling height. A relatively common issue when renovating homes from that period, the most straightforward way to address the need for increased overhead clearance for today's larger cars and SUV's is with structural steel. 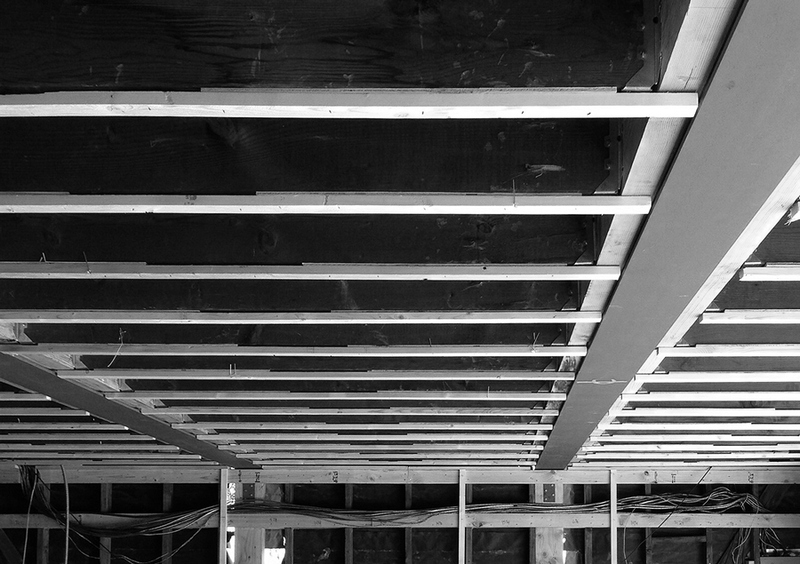 The addition of two steel members allows for more flexibility in terms of design, size and clear space; with the existing structure shored up and the original wood beams replaced, the new beams sit nearly flush with the existing joists.